The books just keep coming! I am really surprising myself with how much I have read this year. So with this in mind I am now attempting to jump between a Discworld book and a Black Library book to help with burn outs and to start getting through some big series of books. 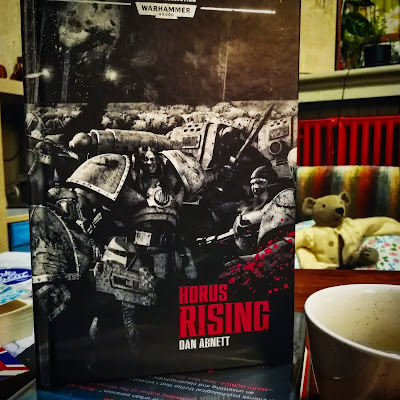 Having completed Equal Rights I decided to jump into Horus Rising by Dan Abnett. I have already reviewed a couple of the Horus Heresy books already, but never the opening title so here we go. Commercial Fluff: After thousands of years of expansion and conquest, the imperium of man is at its height. His dream for humanity nearly accomplished, the emperor hands over the reins of power to his warmaster, Horus, and heads back to Terra. But is Horus strong enough to control his fellow commanders and continue the emperor's grand design? This isn't the first time reading this novel so I knew what I was getting into. The best thing about this tale is how well Dan Abnett makes a sci-fi military novel. There is no crazy movie style battles in this book, it's a more straightforward realistic combat adventure. We have a cast characters that are well balanced, believable and made to seem more human than they really are. The main character we follow in this tale is a Captain Loken. At the start he is just a company Captain, but following an early action Loken is promoted to the Mournival- a group of four senior officers whose role is to advise Horus and act like the Primarchs voice of reason or his political tools. But soon Loken starts to realise all is not what it seems. As the story progresses he starts noticing that secrets are being withheld and not all is as it seems with the perfect Imperium of Man. I really enjoyed the book. It showed a future villain as a hero, the man that could have been. We also see the manipulation starting to happen by the end of the book and how the Word Bearers are starting to become the puppet masters of the Heresy. 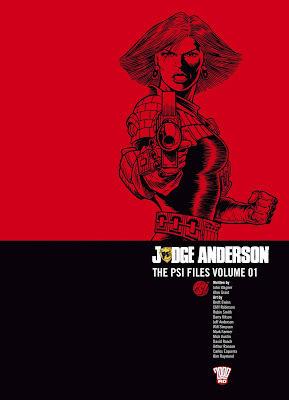 It's a great intro to this series and doesn't really need you to understand much as it makes good work explaining it. It has definitely ignited the spark to read more of these titles.